Philip Markoff, the Boston University medical student arrested in April and suspected being the "Craigslist killer" has been found dead in his jail cell after an "apparent suicide". Ed Geary, Deputy Director of External Affairs at the Suffolk County Sheriff's Office in Massachusetts told CBS News Markoff was pronounced dead by medics at 10:17 a.m. Eastern on Sunday. Markoff was being held at the Nashua Street Jail in Boston. A statement released by Boston Police Commissioner Edward Davis and Suffolk County District Attorney Daniel F. Conley said the suspect "was alone in his cell and all evidence collected thus far indicates that he took his own life." 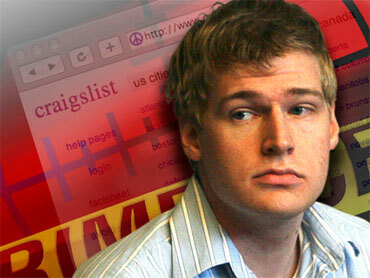 Click here for "48 Hours Mystery's" coverage of the Craigslist murders. Markoff, 22, was arrested during a traffic stop on Interstate 95 in Walpole, south of Boston. He was charged with a shooting death in a hotel of a masseuse and the robbery of another woman who both advertised their services on Craigslist. Markoff's trial was expected in March. John Salsberg, who was Markoff's lawyer, said he was shocked and saddened about his client's death. He would not comment further. Markoff, a former Boston University student, pleaded not guilty in the April 2009 fatal shooting of Julissa Brisman, of New York City, and the armed robbery of a Las Vegas woman, both at Boston hotels. Markoff's arrest came days after his image was shown on surveillance video at the hotels. Davis said that authorities had him under observation for days before making the arrest. Shortly after his arrest in 2009, Markoff was put on suicide watch after shoelace marks were found on his neck, reports CBS News station WBZ in Boston. At the time, John Salsberg said Markoff was having difficulty transitioning "from being free to being incarcerated."